Roderick is an accomplished advocate, litigator and tactician. He has a formidable reputation for both his technical legal expertise and his trial advocacy. He has represented teachers, policemen, prison officers, soldiers, solicitors, doctors, dentists, nurses, health visitors, paramedics, company directors, jockeys, trainers, owners, bookmakers, farmers, NHS Trusts, small, medium and large companies, utility, service and manufacturing companies, professional partnerships and Trade Unions. 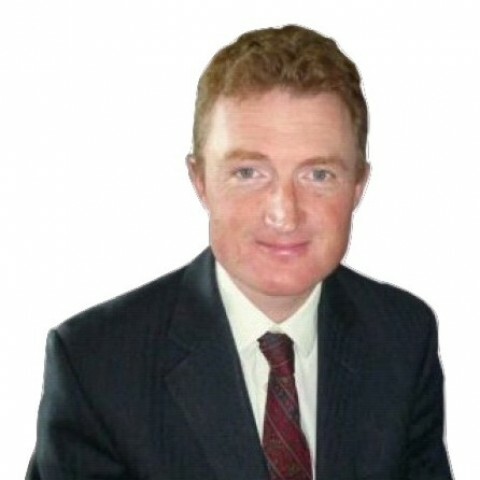 Roderick has huge experience of employment disputes, and has appeared in hundreds of hearings before the Employment Tribunal and Employment Appeal Tribunal, as well as many hearings before the High Court and Court of Appeal. He has appeared in many reported cases, some of which are set out below, including the ground breaking stress at work claim Intel Corporation (UK) Ltd v Daw  ICR 1318. Roderick is an expert in all aspects of family finance. His practice covers all family financial work within the jurisdiction of the County Court and High Court, including Financial Remedies on Dissolution of Marriage/Civil Partnership and on Judicial Separation, Applications under Schedule 1 of the Children Act 1989 and Claims under the Trusts of Land and Appointment of Trustees Act 1996 (cohabitee disputes). He has extensive experience in claims brought to challenge Wills under the Inheritance (Provision for Family and Dependants) Act 1975. He also has experience in Child Support Appeals before the First Tier Tribunal. A stand-out quality which is particularly relevant to his family practice is Roderick’s versatility and ability to combine both “soft skills” and “hard skills”. He is acutely aware that clients in family cases are often going through a particularly harrowing period of their lives. A recent client in a TOLATA dispute described him as "outstanding". A recent client in a divorce referred to him as "just the very best person to have with you in those circumstances" and "very gentle and respectful with beautiful manners". Roderick is firmly established as one of the “go to” barristers for jockeys, trainers, owners and others licensed by or subject to the jurisdiction of the British Horseracing Authority. He is regularly instructed or recommended by the main trade bodies such as the National Trainers’ Federation. He has been instructed in all manner of cases that come before the three Panels of the BHA (Licensing, Disciplinary and Appeal): including lay-betting, running and riding, horse welfare, whether an applicant for a licence is a fit and proper person and so on. He has a thorough knowledge of the Rules of Racing. In 2016, he presented a number of seminars around the counry to NTF members on running and riding issues. He contributed to the BHA's Integrity Review and was consulted as part of the Quinlan review of the operation of the BHA Panels. He was also consulted by the BHA with regard to their re-write of the Rules in 2017. In addition to his regulatory work in racing he has been instructed in a number of contractual/commercial cases, such as ownership disputes and allegations by owners of breach of duty against trainers. Recent clients include a number of leading names in the sport, as well as many rank and file participants. Roderick represented Harry Findlay (legendary owner and professional gambler) before the Appeal Board and secured the complete removal of the disqualification imposed on him for laying his own horse to lose on the betting exchanges. Harry said "Roderick stepped up to the plate when it really mattered". Another client (a leading trainer) described Roderick's advocacy as "absolutely brilliant" having been acquitted of BHA charges on horse welfare issues and of breaches of duty to an owner. Roderick worked in racing before going to University and is a natural and accomplished horseman in his own right. He has regularly put his knowledge of racing and horses to good use in all his work. As Dawn Bacchus of the National Trainers’ Federation put it: “Roderick’s sharp legal mind combines with an in-depth knowledge of the Rules of Racing, a thorough understanding of the sport and a real knowledge of horses”. The Chambers and Partners Guide to the Legal Profession has referred to Roderick's "unique knowledge of the racing and bloodstock sector". An experienced regulatory lawyer, Roderick regularly advises and represents other professionals including fellow lawyers and in particular those working in the health and care sectors. We don’t have any client feedback for Roderick Moore (1993) at this time. RODERICK MOORE collects, uses and is responsible for personal information about you. When I do this I am the ‘controller’ of this information for the purposes of the GDPR and the Data Protection Act 2018. If you need to contact me about your data or the processing carried out you can use the contact details at the end of this document. n. other personal data relevant to instructions to provide legal services, including data specific to the instructions in question. The same categories of information may also be obtained from third parties, such as other legal professionals or experts, members of the public, your family and friends, witnesses, courts and other tribunals, investigators, government departments, regulators, public records and registers. xii. as required or permitted by law. If I have been instructed by you or on your behalf on a case or if you have asked for a reference, your personal information has to be provided, to enable me to provide you with advice or representation or the reference, and to enable me to comply with my professional obligations, and to keep accounting records. In relation to information which is in categories (g) to (m) above (these being categories which are considered to include particularly sensitive information and which include information about criminal convictions or proceedings) I rely on your consent for any processing for the purposes set out in purposes (ii), (iv), (vi), (viii) and (ix) above. I need your consent to carry out processing of this data for these purposes. However, if you do not consent to processing for purposes (iv) and (ix) (responding to potential complaints and providing a reference) I will be unable to take your case or to provide a reference. This is because I need to be able to retain all the material about your case until there is no prospect of a complaint and to provide an informed and complete reference. In relation to information in categories (g) to (m) above (these being categories which are considered to be particularly sensitive information and include information about criminal convictions or proceedings), I am entitled by law to process the information where the processing is necessary for legal proceedings, legal advice, or otherwise for establishing, exercising or defending legal rights. In relation to information which is not in categories (g) to (m) above, I rely on my legitimate interest and/or the legitimate interests of a third party in carrying out the processing for the purposes set out above. In certain circumstances processing may be necessary to enable me to comply with a legal obligation to which I am subject (including carrying out anti-money laundering or terrorist financing checks). This privacy notice is of general application and as such it is not possible to state whether it will be necessary to transfer your information out of the EEA in any particular case or for a reference. However, if you reside outside the EEA or your case or the role for which you require a reference involves persons or organisations or courts and tribunals outside the EEA then it may be necessary to transfer some of your data to that country outside of the EEA for that purpose. If you are in a country outside the EEA or if the instructions you provide come from outside the EEA then it is inevitable that information will be transferred to those countries. If this applies to you and you wish additional precautions to be taken in respect of your information please indicate this when providing initial instructions. Some countries and organisations outside the EEA have been assessed by the European Commission and their data protection laws and procedures found to show adequate protection. Most do not. If your information has to be transferred outside the EEA, then it may not have the same protections and you may not have the same rights as you would within the EEA. If I decide to publish a judgment or other decision of a Court or Tribunal containing your information then this will be published to the world. I will not otherwise transfer personal information outside the EEA except as necessary for providing legal services or for any legal proceedings. At this point any further retention will be reviewed and the data will be marked for deletion or marked for retention for a further period. The latter retention period is likely to occur only where the information is needed for legal proceedings, regulatory matters or active complaints. Deletion will be carried out (without further notice to you) as soon as reasonably practicable after the data is marked for deletion. • Names and contact details held for marketing purposes will be stored indefinitely or until I or my clerks become aware or am/are informed that the individual has ceased to be a potential client. As explained above, I am relying on your explicit consent to process your information in categories (g) to (m) above. You provided this consent when you agreed that I would provide legal services/you asked me to provide a reference. You have the right to withdraw this consent at any time, but this will not affect the lawfulness of any processing activity I have carried out prior to you withdrawing your consent. However, where I also rely on other bases for processing your information, you may not be able to prevent processing of your data. For example, if you have asked me to work for you and I have spent time on your case, you may owe me money that I will be entitled to claim. If there is an issue with the processing of your information, please contact my clerk/PA using the contact details below. Please note if you wish to unsubscribe from any marketing emails that you have signed up for, you can do so by contacting me using the contact details at the end of this document. It may take up to 14 days for this to become effective. I do not intend to process your personal information except for the reasons stated within this privacy notice. If this changes, this privacy notice will be amended and placed on the Clerksroom website. I take appropriate physical and technical procedures to safeguard your personal data to prevent it from being accidentally lost used or accessed in an unauthorised way. The IT systems used by Clerksroom are ISO27001 Compliant. This privacy notice was published on 24 May 2018 and has not yet been updated. I continually review my privacy practices and may change this policy from time to time. When I do it will be placed on the Clerksroom website. If you have any questions about this privacy notice or the information I hold about you, please contact me or my clerks. The best way to contact me is to email me: moore@clerksroom.com or to phone my clerks on 01823 247247. Roderick Moore is an independent self-employed barrister registered with the Bar Standards Board of England and Wales (ID No: 45007); whose practice is governed by the Code of Conduct of the Bar of England and Wales which code can be found at www.barstandardsboard.org.uk; has full professional liability insurance provided by the Bar Mutual Indemnity Fund Limited (Mem No: 2620/143) (details of the world-wide cover are provided at www.barmutual.co.uk); and is registered for VAT (Reg No: 267 1358 88). All work is undertaken under The Standard Contractual Terms for the Supply of Legal Services by Barristers and Authorised Persons 2012 (which may be found at www.barcouncil.org.uk) unless bespoke alternative terms are agreed in writing in advance.